Earlier this month, the Federal Reserve raised its short-term interest rate for the second time in almost a decade. The move was widely anticipated by investors, which reached to the conclusion due to several factors, including upbeat labor market conditions, inflation data and a recent change in Fed Chair Janet Yellen’s rhetoric. That’s right. The Fed Chief has modified her approach to monetary policy normalization over the last few months, a sudden hawkish change that investors just couldn’t let pass. However, the latest FOMC statement and remarks from Yellen were seen as less hawkish than expected. 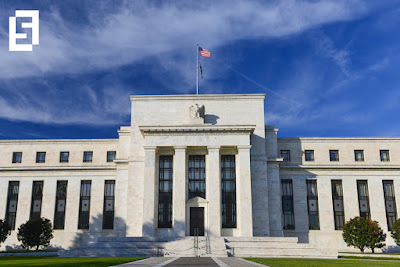 “If things really take off, if we get continued strong growth and if underlying inflation really picks up, we could get four [rate increases] this year,” said Chicago Fed President Charles Evans in an interview with Bloomberg TV on Monday. Evans also explained that there is no strong case so far to consider four rate hikes. Inflation and other indicators would have to (of course) back such decision. "If I thought that I was inclined to four rate hikes for 2017 I would presumably be seeing a much stronger lift in inflation, I think it would be accompanied by a meaningful increase in long term inflation expectations." And that’s the big question, not if there will be more rate hikes this year, but how many of them. Before the March meeting, investors were only weighing in two rate hikes for this year, one in June and another one in December. The March hike was a game changer. Conservative analysts believe three rate hikes is the way to go, with March, June and December as tentative dates. An increasing number of traders, and not only traders, think there could be more than three rate moves later this year, especially due to speculation on Trump policies. US stock markets have been growing consistently since November elections based on expectations that a Trump government will promote solid economic growth by rising fiscal spending, lowering business taxes and deregulating key industries. In order to answer our main question, we may have to keep our eyes wide open and carefully follow key Fed indicators, such as employment data and CPI reports. Your blog is simply quicker than others. I've seen a few websites that are dreadfully slow. I mean a sidebar filled to the overflow, shining images, complete blog entries on the homepage (instead of parts), a huge amount of GIFs. These things back off a blog. See here to buy essays. They make it take additional time to look down in light of the fact that it's saggy, and it could even make a seasoned PC collapse totally. But your blog is fastest. I love your blog. It's straightforward, rich, and quick to load up.